We write about what we know. Our characters have careers we’ve had – or ones our friends or family members have had. Thanks, Mom and Dad.Our characters live where we’ve lived. Or we travel to those locations. Or we stay home and do research on cities, states, and foreign countries. Thanks, Google.Special applause for all the historical writers out there who do additional research on times-gone-by, and the fantasy and sci-fi writers who create entire worlds and races. But we also need to write about what we feel. Our stories should require literary open-heart surgery – that we face the wounds we’ve received through the years – after giving them the needed time to heal, off course. We risk remembering the pain in our past so our imaginary characters can act and react like real people on the pages of our stories. People who’ve lived and breathed and laughed and cried and fought and forgiven. Writing what we know isn’t either-or, it’s yes-and. Writing what we know is experience and emotion. 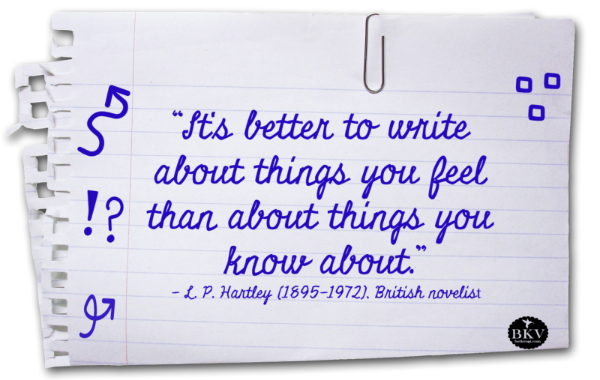 Novelist L.P. Hartley contends it’s better to write about things we feel than what we know – again I ask, why choose? Let’s be novelists who double our efforts and write what we know, both experientially and emotionally. How can you challenge yourself to write what you know x2 in your novels? 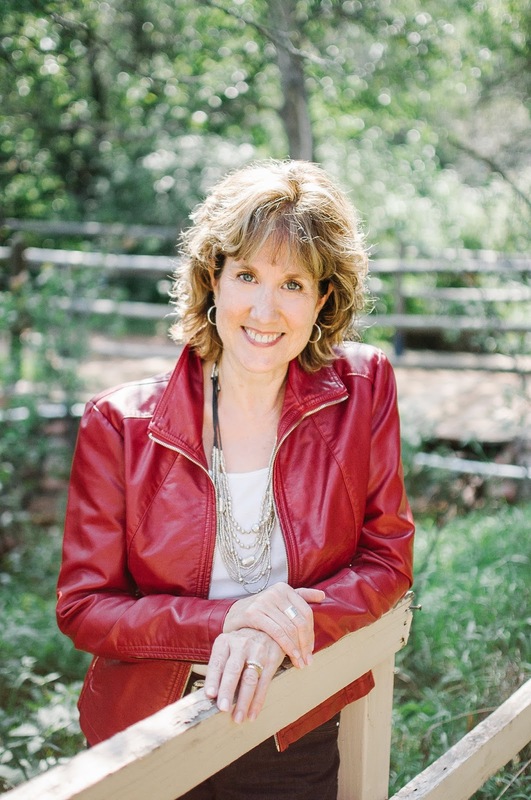 Award-winning author Beth K. Vogt believes God’s best often waits behind the doors marked “Never.” Having authored nine contemporary romance novels and novellas, Beth's first women's fiction novel with Tyndale House Publishers, Things I Never Told You, released May 2018. Moments We Forget, book two in the Thatcher Sisters Series, releases May 2019. An established magazine writer and former editor of the leadership magazine for MOPS International, Beth blogs for Novel Rocket and The Write Conversation and also enjoys speaking to writers group and mentoring other writers. Visit Beth at bethvogt.com. Well said author! We must both write what we know and what we feel. It's when we come to know why we feel what we do that our writing comes alive. What a great lesson Ms. Beth. God's blessings ma'am. Well said, friend. Yes, knowing why we feel what we do is so important, too. It anchors our writing and makes it stronger. Love this, Beth! I do applaude those who write historical and/or sci-fi fantasy when tackling contemporary - with or without first-hand knowledge and Google - is challenging enough. As always, the My Book Therapy wisdom of developing character's emotion resonates here and is the element what keeps me engaged in a story to the end. Yes, Mary -- layering in emotion is key to strong characters, which is why we want to tap into what we know emotionally as well as what we know through our experiences.